In case you've missed it, Samsung announced the be-all-and-end-it-all display at this year's MWC. Dubbed Super AMOLED it comfortably outdoes every other mobile phone display we have seen so far. 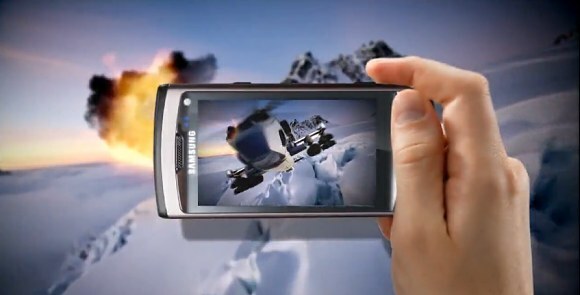 And now in the build up before the launch of the Samsung S8500 Wave, the first handset to give you a taste of it, they released a promo video highlighting its strongest points. Unlike a regular touchscreen AMOLED display, the Super AMOLED display doesn't require a separate touchscreen layer because it has it built-in. That allows for faster response, less reflections and enhanced colors. The overlaying glass has also been removed allowing for perfect sunlight legibility, which otherwise troubles regular AMOLED's. Now add the WVGA resolution and the impressive contrast with pure blacks and you get yourselves a real winner. Still skeptical? Check out our Samsung S8500 Wave preview and the direct comparison of the S8500 Wave and the Apple iPhone displays. its very kickass moblie for me!! !